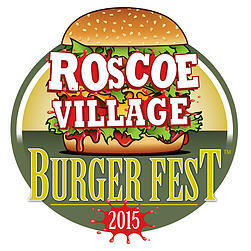 The 6th Annual Roscoe Village Burger Fest returns Saturday and Sunday, July 11th and 12th. More than a dozen local restaurants will be serving their juicy, delicious burgers. Local artists and merchants will be there as well. In addition to that, there’s two stages with live music entertainment and a fun-filled Kids’ Zone too. You’ll also get to vote for your favorite Burger Fest burger. Burger Fest hours are 11am to 10pm both days. The suggested donation is $10 and proceeds benefit the Roscoe Village Chamber of Commerce. You’ll find the street festival on Belmont and Damen in Roscoe Village.